What exactly can the Butterfly commercial embroidery machine embroider? What are the Butterfly Embroidery Capabilities? From Aprons to Zapatos, the Butterfly commercial embroidery machine can embroidery on most anything that can be embroidered on. The embroidery quality of the Butterfly will stand up against and other machine in its market. Even skilled embroidery machine operators will not know whether the embroidery was done with a big name Japanese machine or, our Butterfly. Aprons, Baby Goods, Badges, Bags, Bibs, Blankets, Caps, Car Clubs, Car Seats, Car Mats, Collars, Computer Bags, Covers, Cozies, Curtains, Dresses, Drapery, Dog Collars, Dog Tags, Duffle Bags, Ear Muffs, Flags, Golf Socks, Hats, Hospitals, Institutional Goods, Jeans, Kids Clothing, Laptop Bags, Luggage, Military Tags, Nurse Clothing, Pants, Police, Polos, Promotional Goods, Restaurants, Sandals, School Clothes, Shoes, Shorts, Tags, University goods, Visors, Women’s clothing, X-Ray Tech outfit, Zapatos, and much more! Butterfly is a commercial / industrial embroidery machine. The machine is designed to be tough and work in such an environment. Butterfly is designed to run various shifts and backed by a strong warranty. We highly recommend that all our users of the Butterfly machine, choose quality digitizers. The quality of the digitizing will dictate the quality of the final embroidery. The Butterfly brand is known for not cutting corners and we recommend that when you choose your digitizers you do not cut orders. 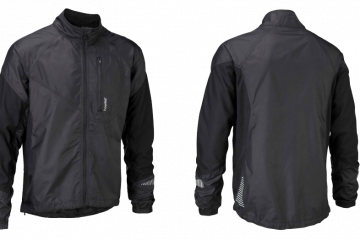 Choose a digitizer with many years of experience and who knows about production embroidery. Choose a digitizer who has paid for a legal digitizing software package. Choose a recommended digitizer. Having a good digitizer will end up saving you money on production and stitch count. What you pay for on digitizing is what you will get on embroidery quality and embroidery machine performance. Do not cut corners on costs when coming to digitizing. It is always recommended to use quality thread. Old thread or poor quality thread will cause nothing but thread breaks and headaches. 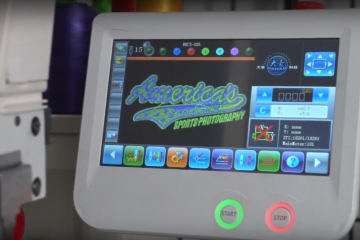 Regardless of your choice in embroidery equipment, there is no machine on the market that will transfer poor digitizing into quality embroidery. Likewise, there is not a machine on the market that can embroidery with poor quality thread.